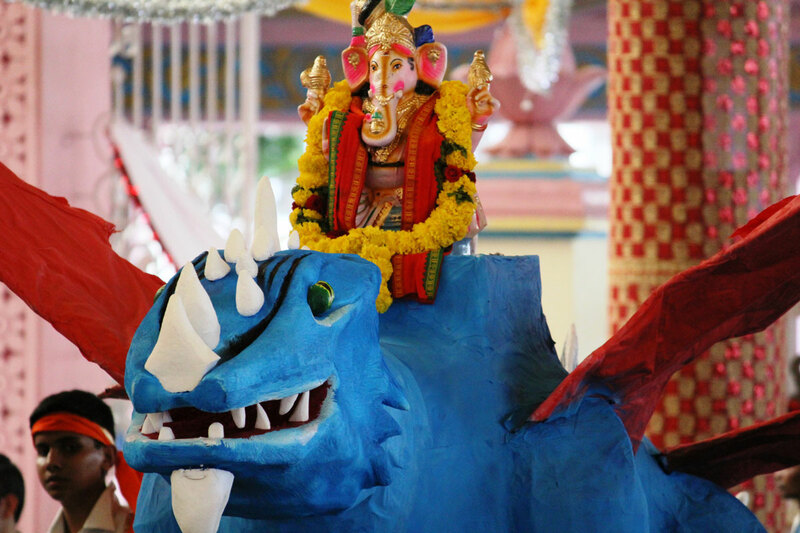 Ganesh Chaturthi, the festival of the birth of Lord Ganesha, is celebrated in Prashanthi Nilayam with utmost pomp and ado. 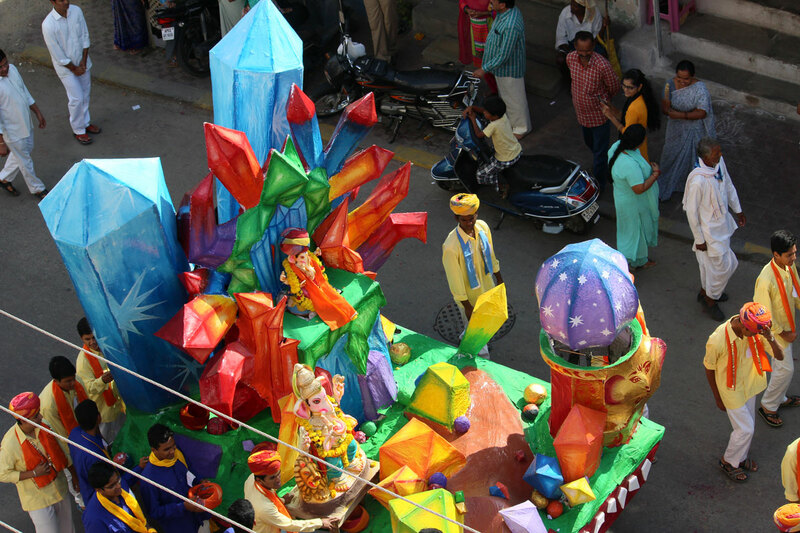 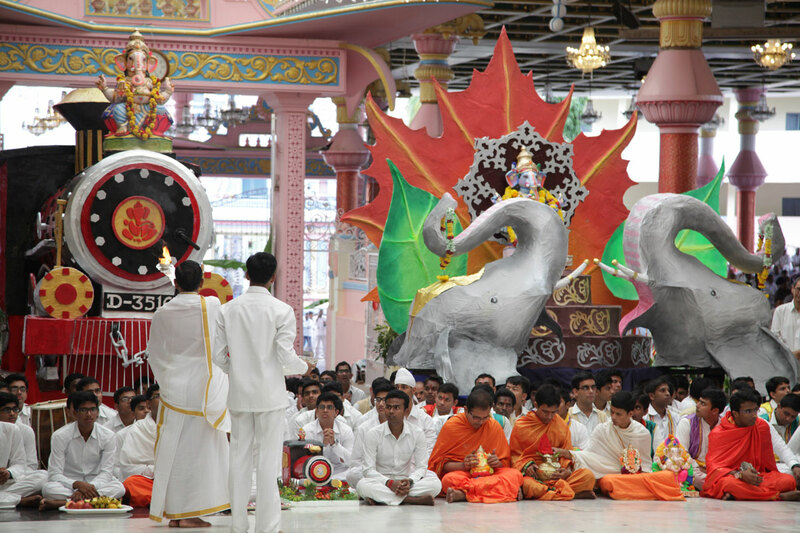 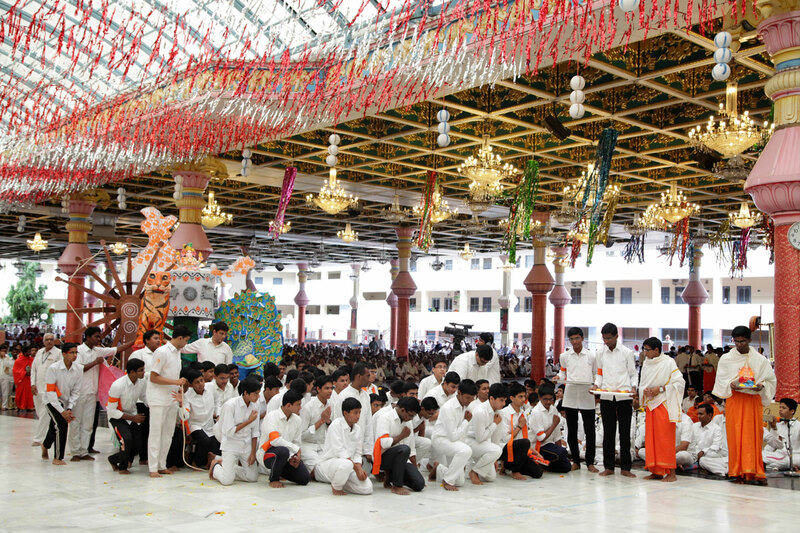 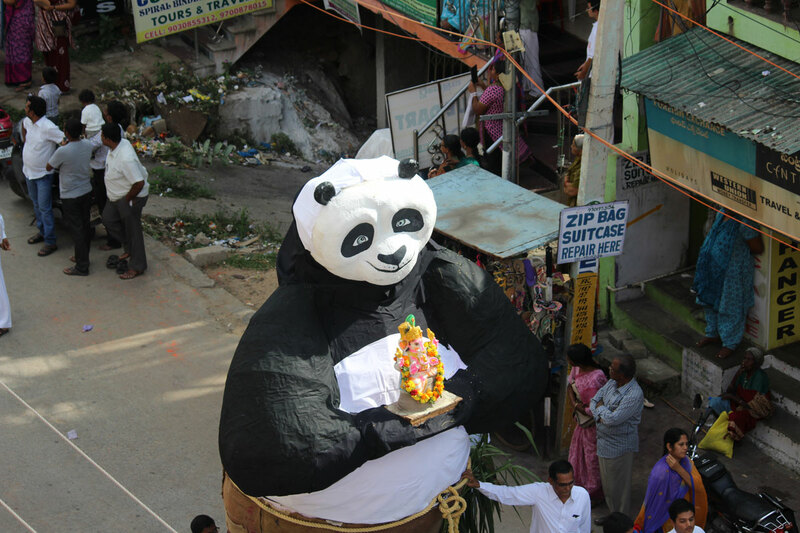 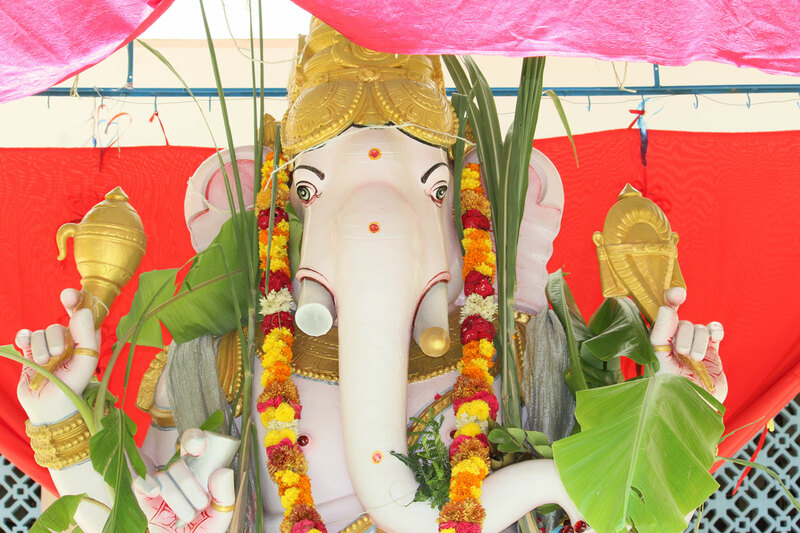 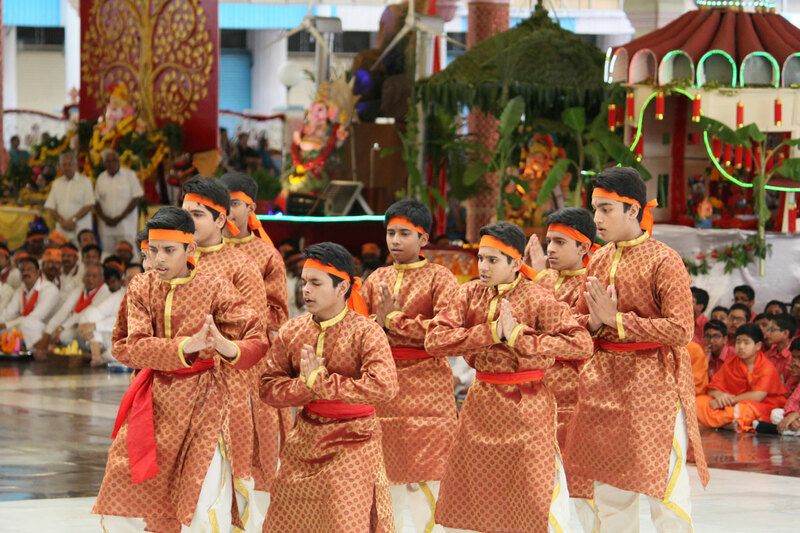 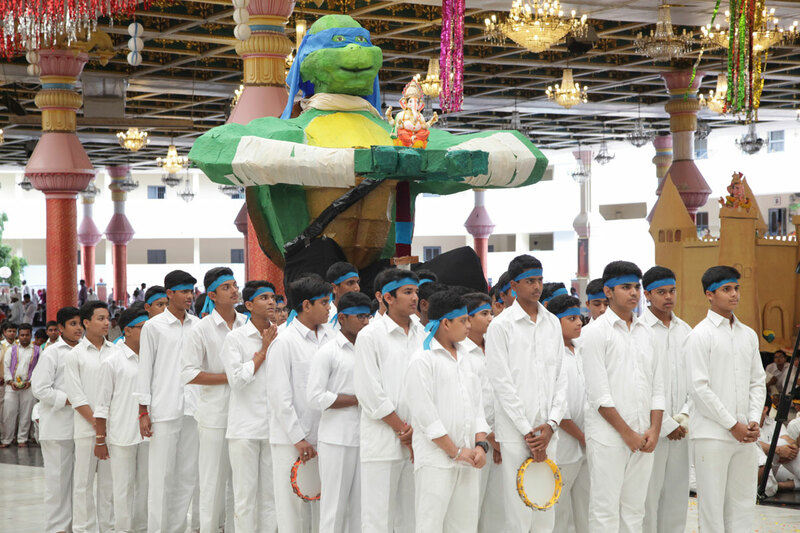 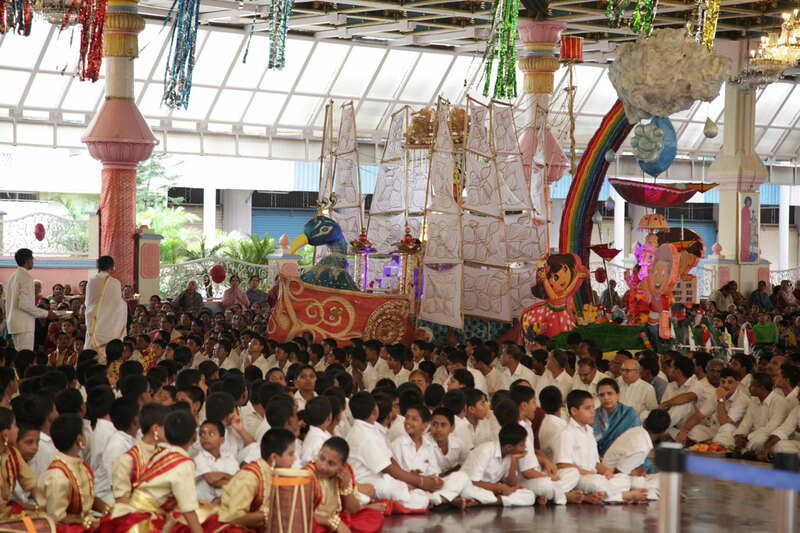 During this period the Higher Secondary School students offer their love to Lord Ganesha in the form of the chariots that they make out of rods and Paper Mache. 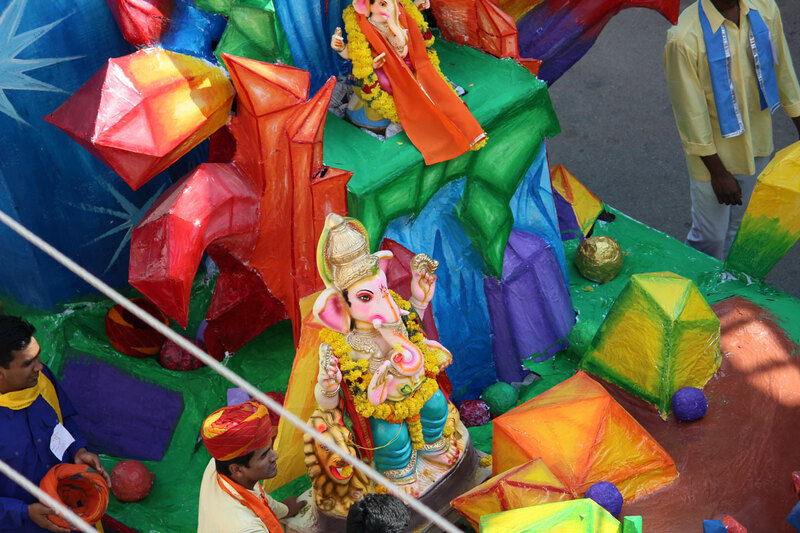 The chariot making process starts over a fortnight before the Ganesh immersion day. 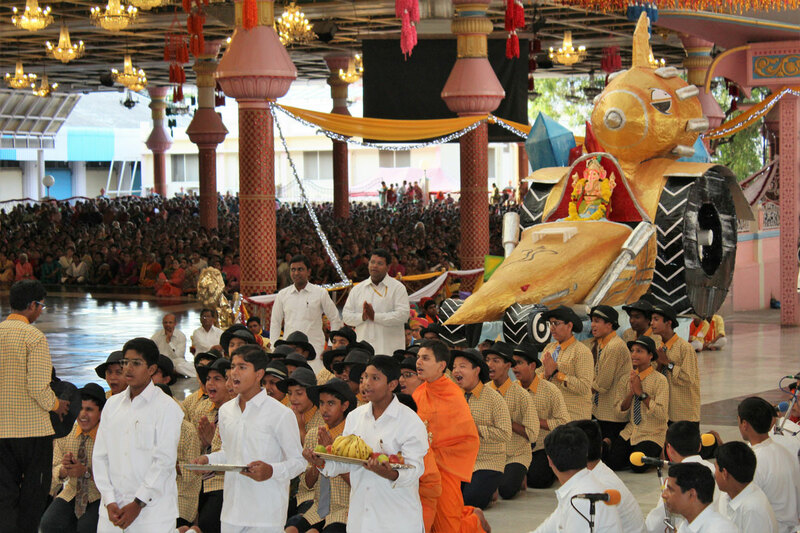 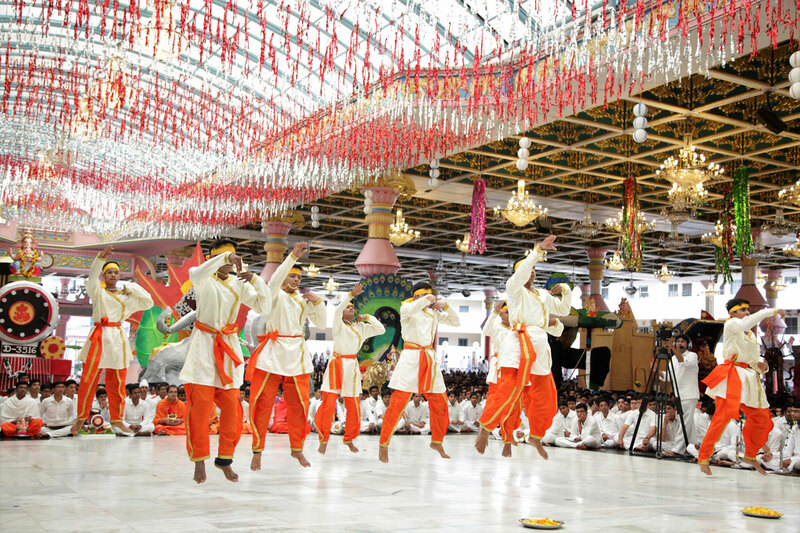 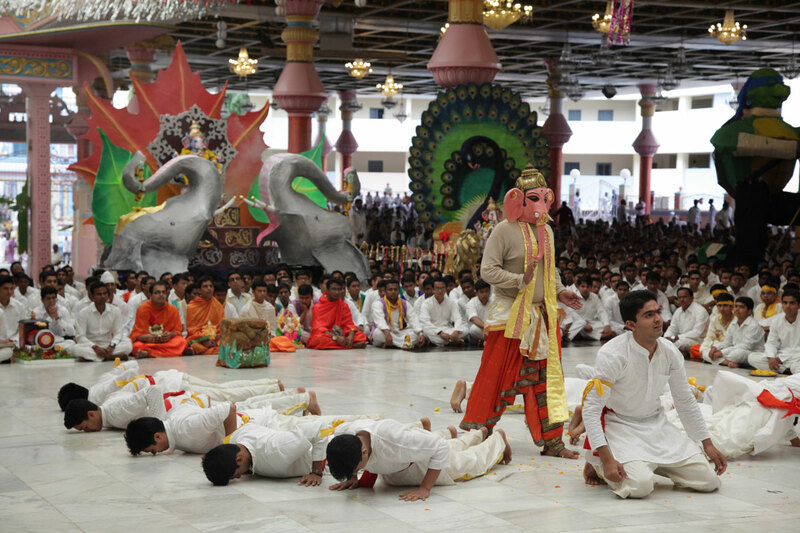 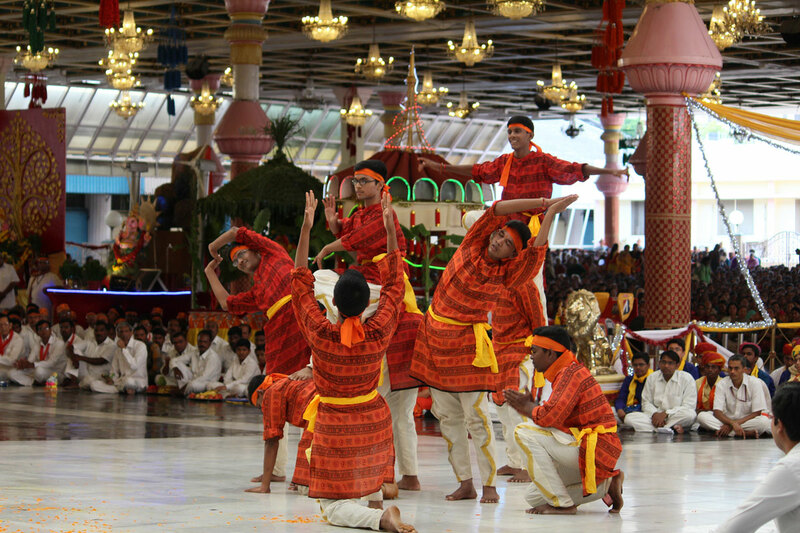 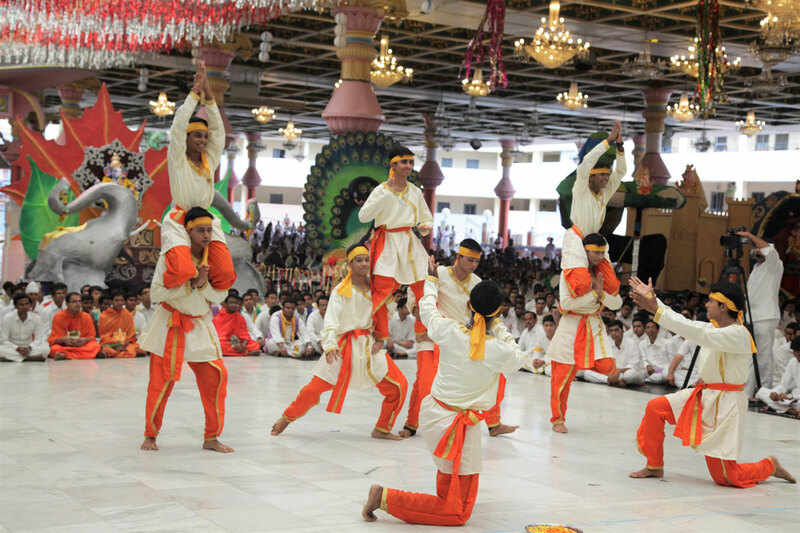 The chariot’s height generally vary from 5ft – 12ft.Devotional singing and spiritual activities go on in the hostel and in the school till the final day when the statue of Lord Ganesha is taken for immersion. 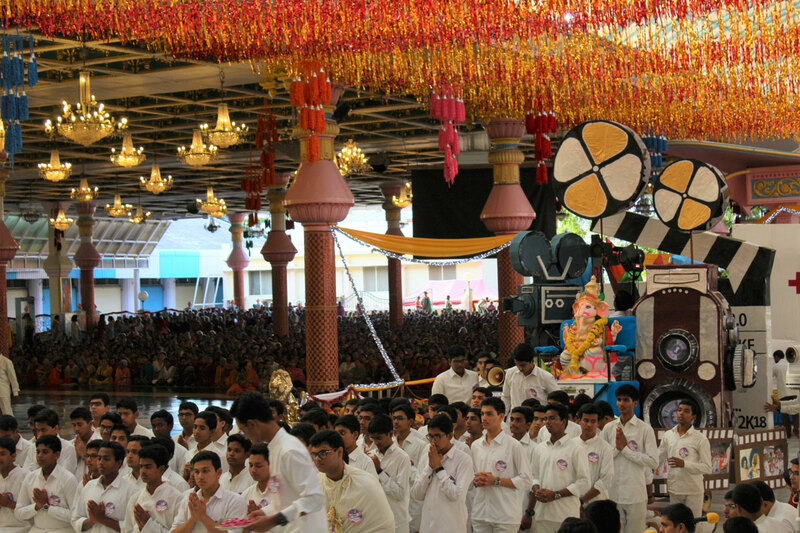 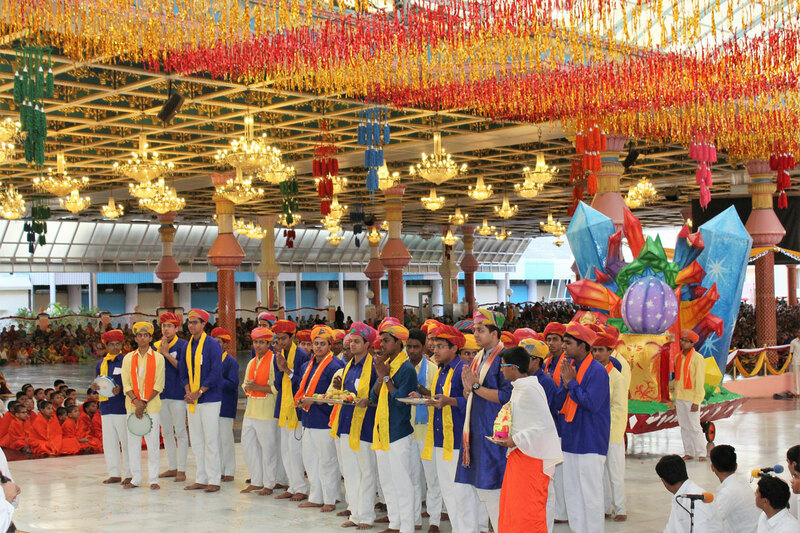 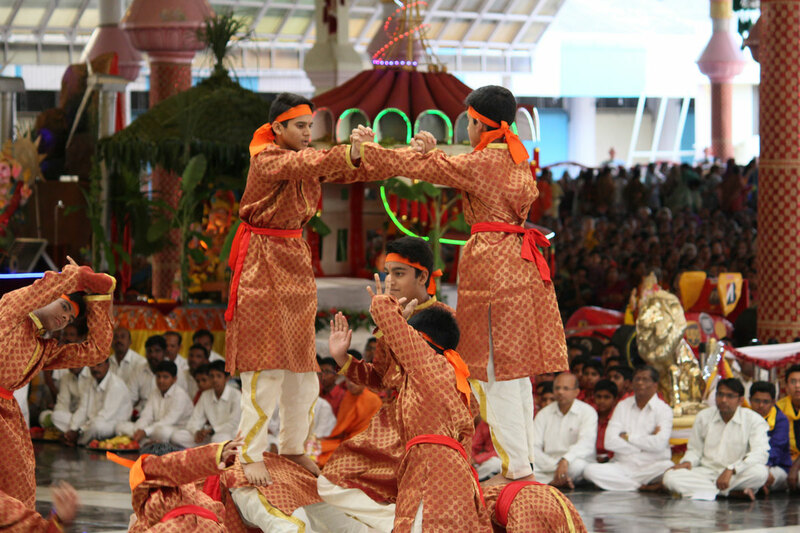 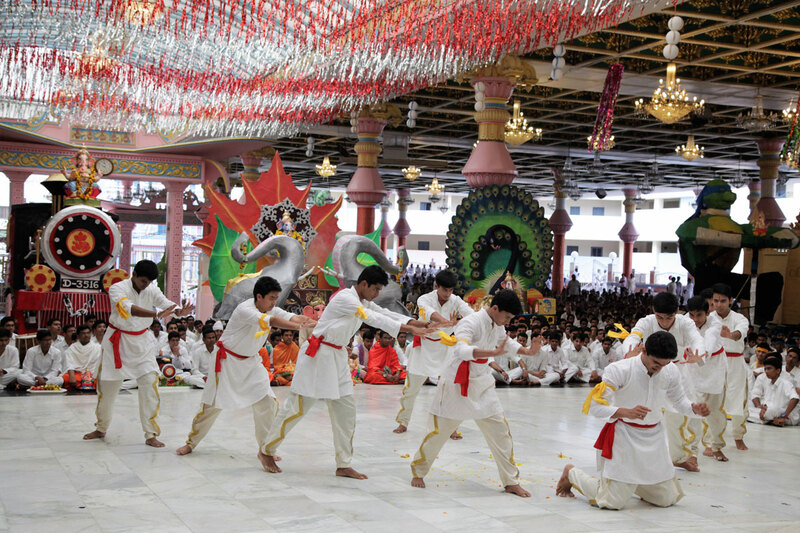 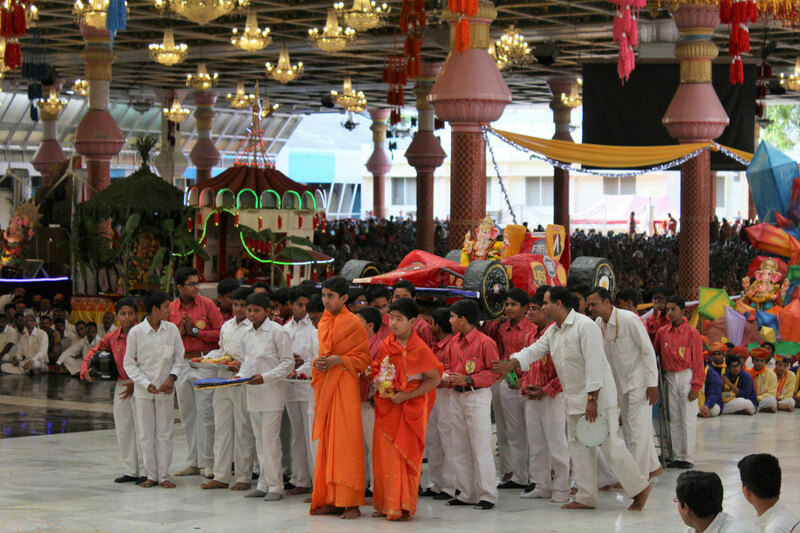 The Lord is taken in a procession to mandir on the chariot with great devotion and enthusiasm on the day of immersion.